Is Alcoholism Hereditary or Genetic? Addiction is a chronic disease of the brain, affecting the reward and motivation centers, and for decades, scientists have argued about the genetic and hereditary components of addiction. Alcohol use disorder, the medical term for alcoholism and alcohol abuse, has been linked to some specific genes. Having a close relative, such as a parent or sibling, who struggles with alcohol use disorder increases the chances that a person will also struggle with the same addiction. While genetics and heredity are closely linked – because parents pass their genes down to their children, so children inherit the genes –from a medical perspective, there are some differences when discussing genetic versus hereditary diseases. A person with a genetic disease has an abnormality in their genome; an individual with a hereditary disease has received a genetic mutation from their parents’ DNA. When scientists debate whether alcohol use disorder is hereditary or genetic, they debate whether the condition stems from a larger set of genes that are passed down or the disease stems from mutations in some genes. Alcoholism is a serious problem in the United States. 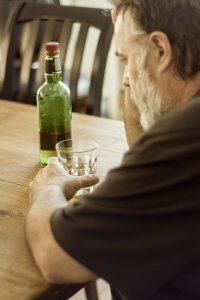 One estimate suggests that as many as 18 million adults in the country struggle with alcohol use disorder; that is one in 12 individuals. Around 100,000 people die every year because of alcoholism, including deaths due to cirrhosis and other organ damage. Chronic heavy drinking also increases the risk of kidney disease, diabetes, and several cancers. Genetics are 50 percent of the underlying reason for alcohol use disorder. If a person is predisposed to metabolize alcohol in such a way that the pleasurable effects are more prominent than feeling nauseous, overheating, or experiencing mood swings, the person may be more likely to develop alcohol use disorder. A 2008 study conducted by the National Institute on Alcohol Abuse and Alcoholism (NIAAA) reviewed much of the research on alcohol use disorder and a possible genetic contribution. The study concluded that genetic factors account for 40-60 percent of the variance among people who struggle with alcohol use disorder. Since then, some specific genes that contribute to alcohol use disorder have been found, and they correlate with the development of the reward centers in the brain. The phenotypic expression of genes is complex, however. For example, a person may have one parent with blue eyes and one parent with brown eyes, so they have genes for both eye colors, but only one eye color will be expressed. Strong genes are the exception to the rule, and a gene responsible for the movement of gamma-aminobutyric acid (GABA) in synapses between neurons appears to be a strong gene associated with a higher risk of alcoholism. It is still unknown how, precisely, this genetic sequence can ultimately influence the outcome for a person. Genes that influence alcoholism may be expressed in various ways. Smaller amygdala: People who have a family history of alcoholism have, in some studies, been shown to have a smaller than average amygdala. This is the part of the brain that likely plays a role in the emotions associated with cravings. Different warning signs: People who have a genetic predisposition to alcohol use disorder may experience fewer or different warning signals from their brain or body when they need to stop drinking. Abnormal serotonin levels: Serotonin is one of the most important mood-regulating neurotransmitters and closely associated with depression. Unusual levels of serotonin have also been associated with people who are genetically predisposed to alcohol use disorder. While children of alcoholics have a twofold to fourfold increased chance of struggling with alcohol abuse later in life, a survey in 2011 found that fewer than half of them actually developed alcohol use disorder. This could be explained, in part, by not inheriting the genes for alcoholism, or it could be explained by the environment that led to a specific expression of those genes.Statistically, a family history of alcoholism is linked to an increased risk of alcohol use disorder, depending on how close the relatives are to each other. Children who have one parent who struggles with alcohol use disorder have a 3-4 times increased risk of becoming an alcoholic themselves. Having more extended relatives, such as aunts, uncles, grandparents, and other family members, who struggle with alcohol abuse does not have the same strong association. While this relation can influence whether or not a person inherits genetic mutations that predispose them to alcohol use disorder, growing up in an environment influenced by addiction can also predispose a person to the condition. Environment affects how genes are expressed, and learned behaviors can change how a person perceives drugs or alcohol. Alcohol consumption in the US is legal for people ages 21 and older, although performing specific tasks like driving or operating heavy machinery are restricted based on blood alcohol content (BAC). Social drinking is prevalent in the United States, and many people drink to reduce stress. Men typically drink more than women. The Centers for Disease Control and Prevention (CDC) notes that between 1997 and 2015, twice as many men drank heavily at least one day per month compared to women. However, women are beginning to drink alcohol much more frequently. 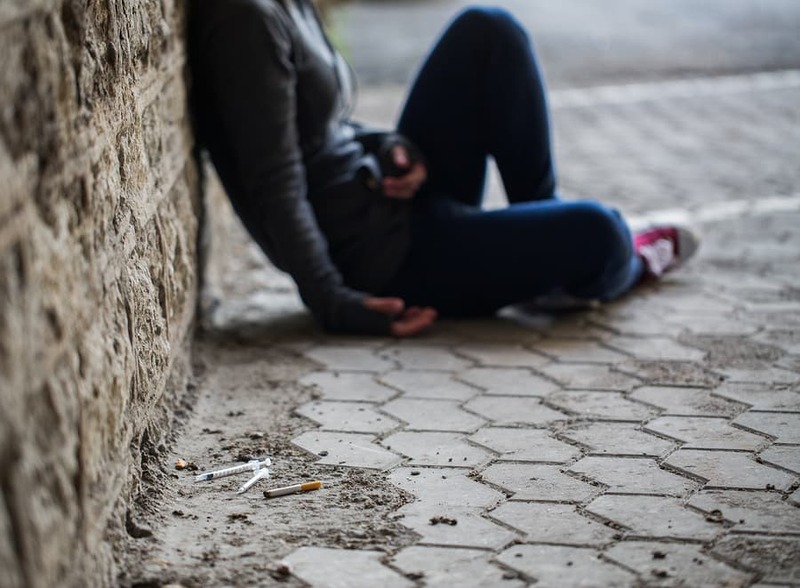 When people are exposed to large amounts of an addictive substance over an extended period of time, it is likely that this substance abuse will rewire the user’s brain to crave the substance. Even without a genetic component present, a person can still inherit a predisposition to alcohol use disorder due to the culture they grow up in. Early drinking age: People who drink in adolescence are more likely to develop alcohol use disorder; those who avoid alcohol until legal drinking age are less likely to struggle with alcoholism. History of abuse: Children who were raised in emotionally stressful homes, especially those who were verbally, physically, or sexually abused, are at a higher risk of developing alcohol use disorder as adults. Mental health problems: Psychiatric conditions, including depression, anxiety, bipolar disorder, ADHD, and schizophrenia, put a person at a higher risk of developing alcohol use disorder. It is believed that alcohol may be used as a way to self-medicate certain mental health symptoms like mood swings. The complex relationship of genetics, heredity, and other factors in a person’s life may lead them to struggle with alcohol use disorder, but it is always possible to end the addiction. Detoxing with the help of medical supervision, then participation in a complete rehabilitation program, is the best process for a person who struggles with this addiction. Therapy and social support are important components offered in a rehabilitation program, and these help the individual understand their addiction, avoid triggers for relapse, and maintain a sober, healthy lifestyle.